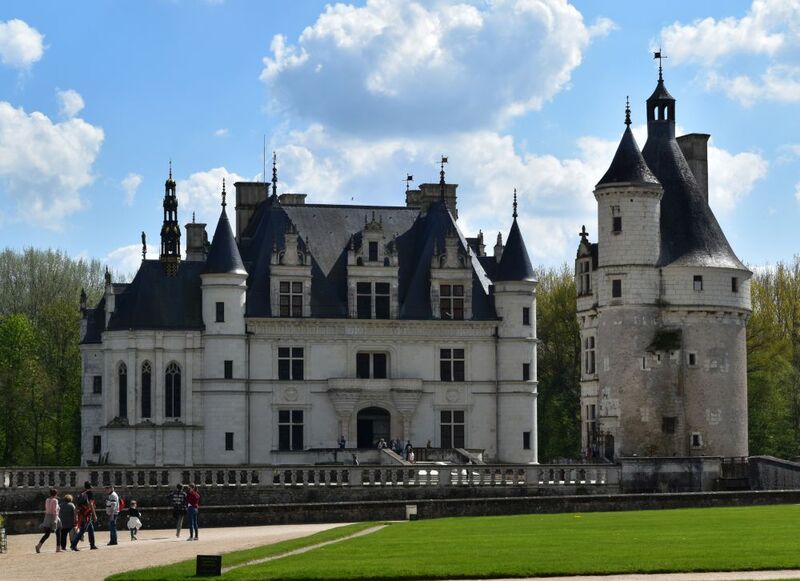 Some 25 years ago I visited the Loire Valley in France and I enjoyed it so much that now, in April 2017, I went back to see the ONE castle: Chenonceau that has been shaped by six ladies. 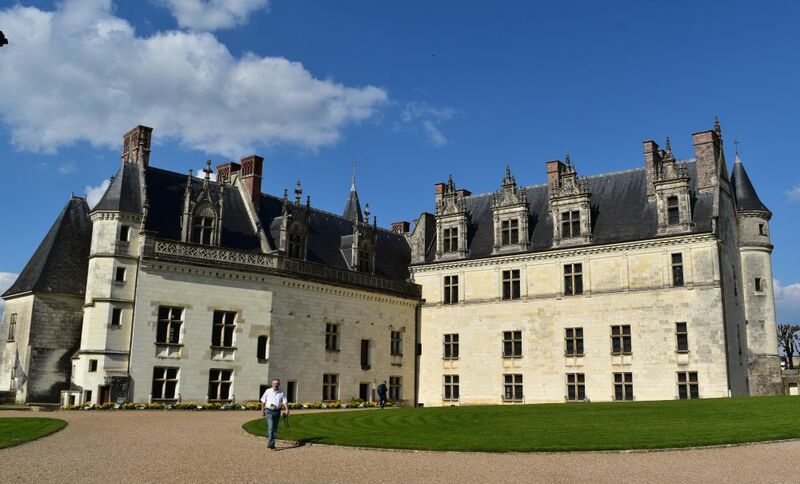 In addition we explored four other royal castles: Charles VIII’s Amboise, François I’s Chambord, and Louis XII’s Blois. We have selected a room in the small hotel Anne de Bretagne in Blois – close to the Château de Blois and close to the castles we want to visit. Henry James travelled through France in the 1880’s and he wrote: “Chenonceaux is not large… Henry II., on ascending the throne, presented it… to… Diana of Poitiers… Catherine de Medici… turned her out of doors… (and) devoted herself to making the place more completely unique… If a certain springing lightness is the characteristic of Chenonceaux… nothing can confirm this expression better than the strange, unexpected movement with which… it carries itself across the river… the aspect of the whole thing is delightful.” Look at the “certain springing lightness”, as Henry James describes it in his A little tour in France. It was the wife of Charles VII’s chamberlain, Tom Bohier, who built the main castle, while leaving the tower of the former mill. Her name was Katherine. Diane de Potiers then added the bridge, and she set up this garden named after her. It is worth to visit the castle inside. 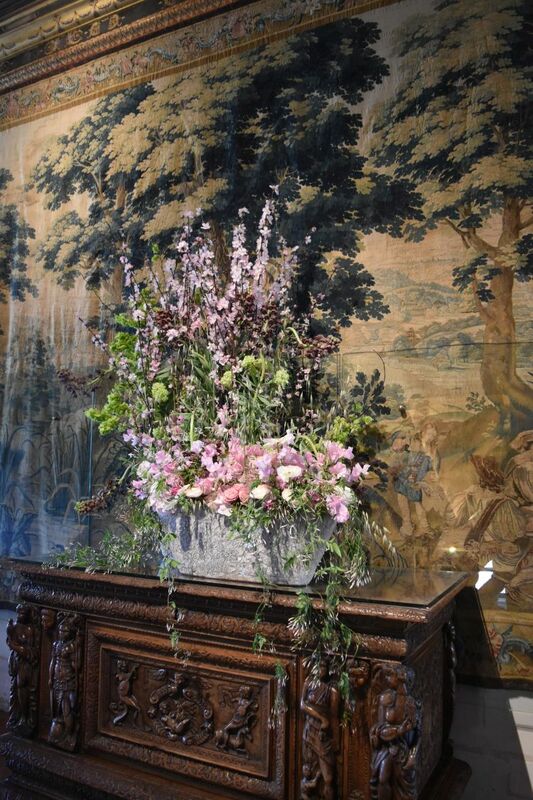 It is furnished, adorned with tapestry and beautifully decorated with flowers. 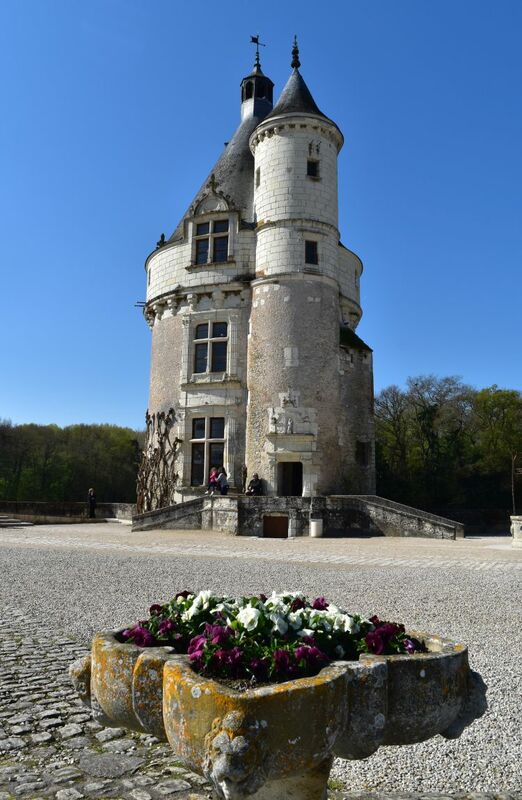 The widow if Henry III, Louise de Lorraine, lived here and two more ladies (Mmes Dupin and Pelouze) saved Chenonceau for today. 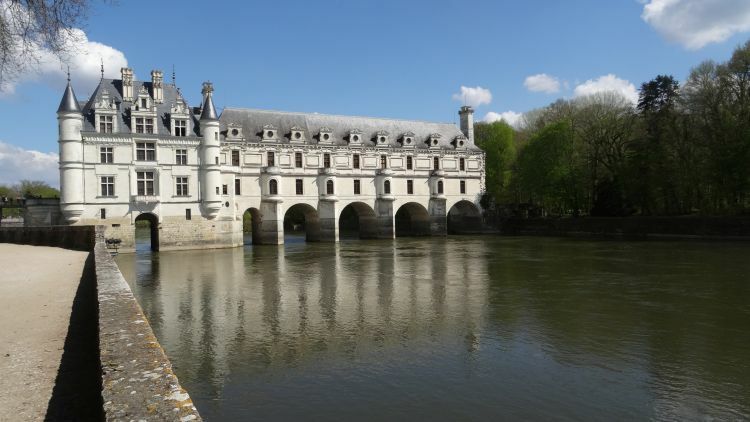 In all it was six ladies shaping Chenonceau. The Auberge du Bon Laboureur is located close to the Château de Chenonceau. 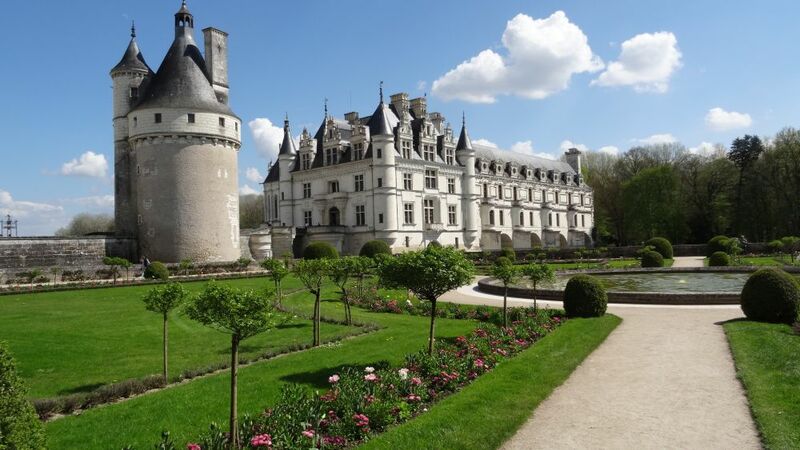 Let me quote Henry James from around 1880: “(From Chenonceau) we took our way back to the Bon Laboureur, and waited in the little inn-parlour for a late train to Tours. We were not impatient, for we had an excellent dinner to occupy us; and even after we had dined we were still content to sit awhile and exchange remarks upon the superior civilisation of France. Where else, at a village inn, should we have fared so well? Where else should we have sat down to our refreshment without condescension? 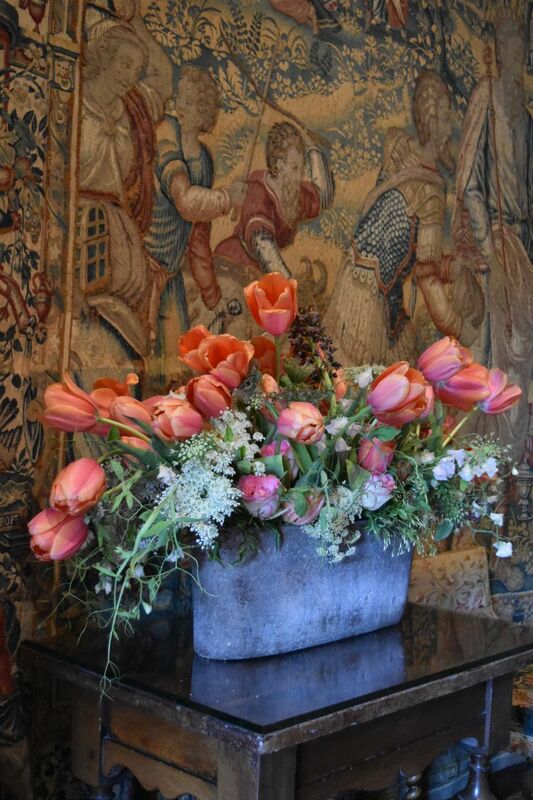 … At the little inn at Chenonceaux the cuisine was not only excellent, but the service was graceful. We were waited on by mademoiselle and her mamma;… she uncorked for us a bottle of Vouvray mousseux. 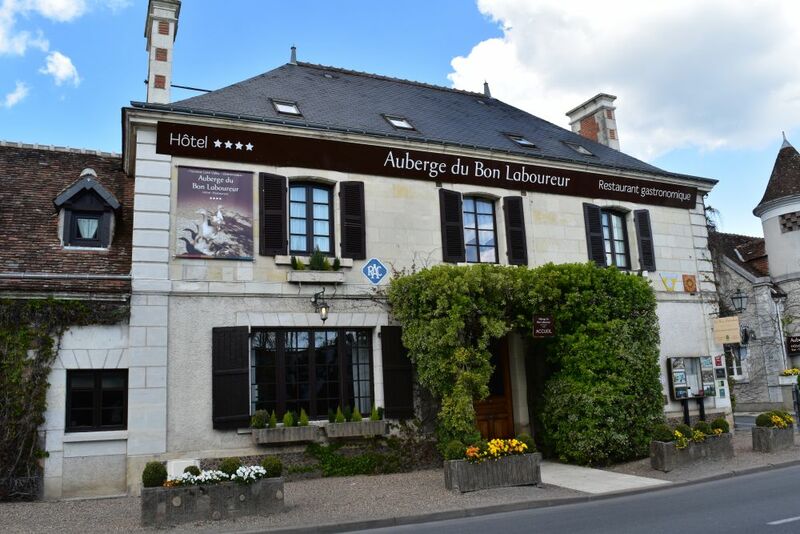 We were very comfortable, very genial…” The Bon Laboureur is no longer just a “little inn”, but a four star hotel with all amenities. A long tradition! Now it was not the right time for us to stop in the “Bon Laboureur”. I remember having had an excellent meal here 25 years ago. Later we enjoyed a nice dinner with local specialties in the Le Castelet in Blois. 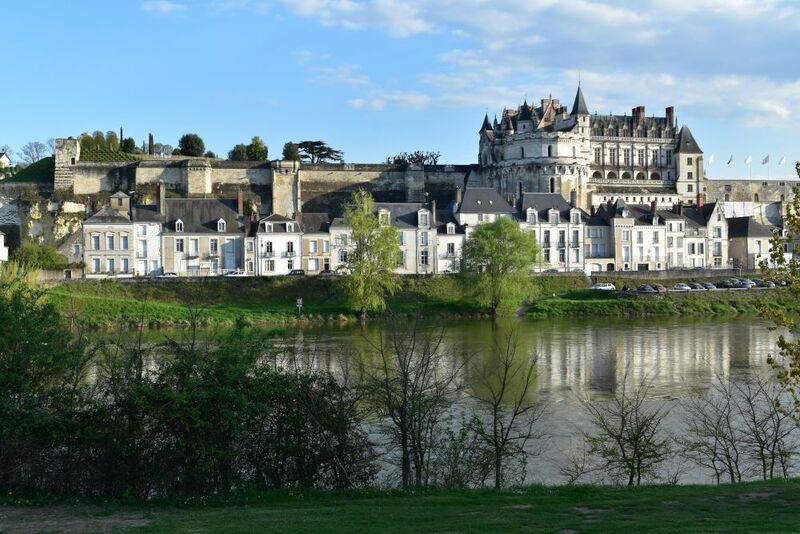 Amboise is a beautiful small town on the river Loire topped by its royal château. The French kings acquired the castle in the late 15th century. Poor Charles VIII hit his head in Amboise and died from that (1498). 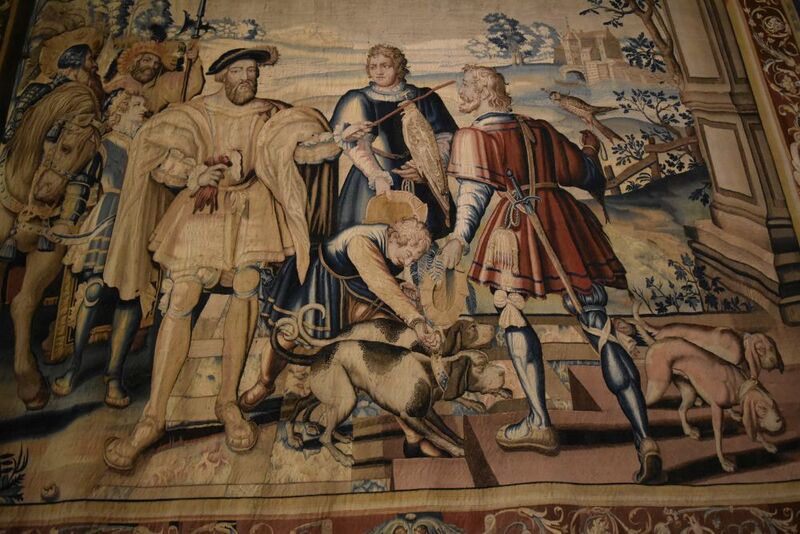 His wife, Anne de Bretagne, then married his cousin, Louis XII who followed on the throne. The windows on the left hand wing below show vertical gothic arches dating back to around 1500. 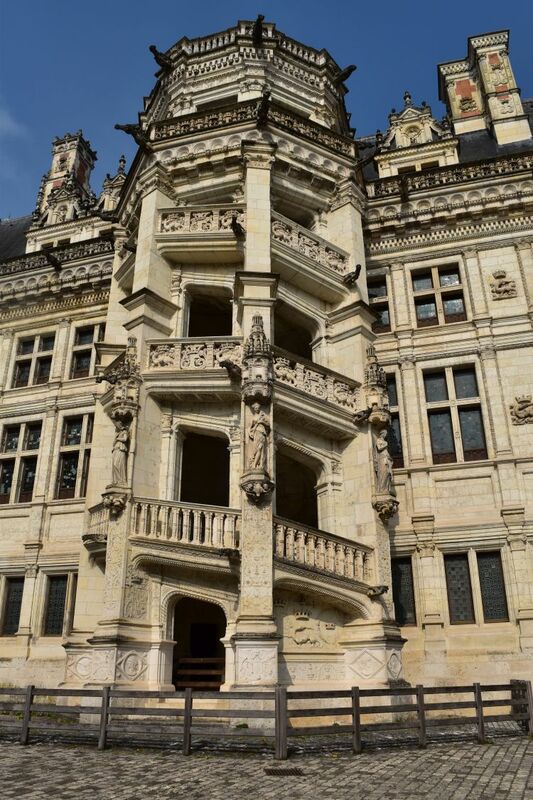 The right hand wing is Renaissance, as the vertical lines on the windows underline – the Renaissance king François I also stayed in Amboise. 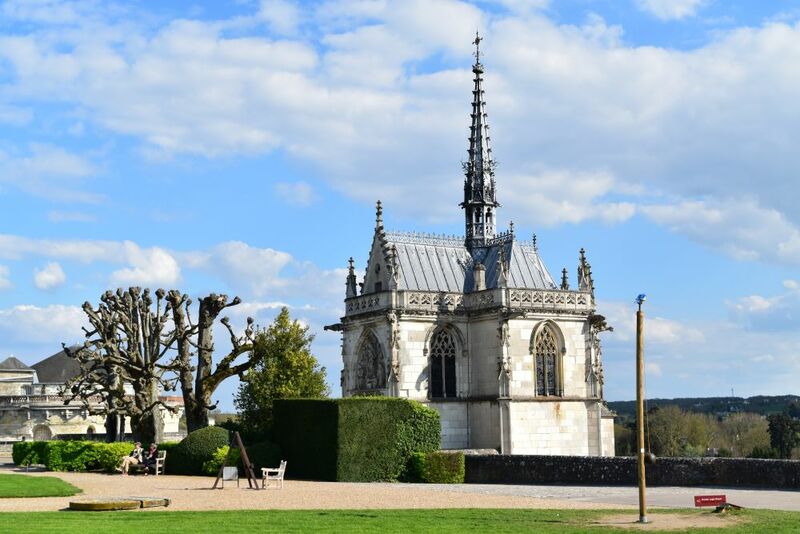 The Hubertus chapel is the place where Leonardo da Vinci has been buried. Invited by François I, he spent his last years in France. 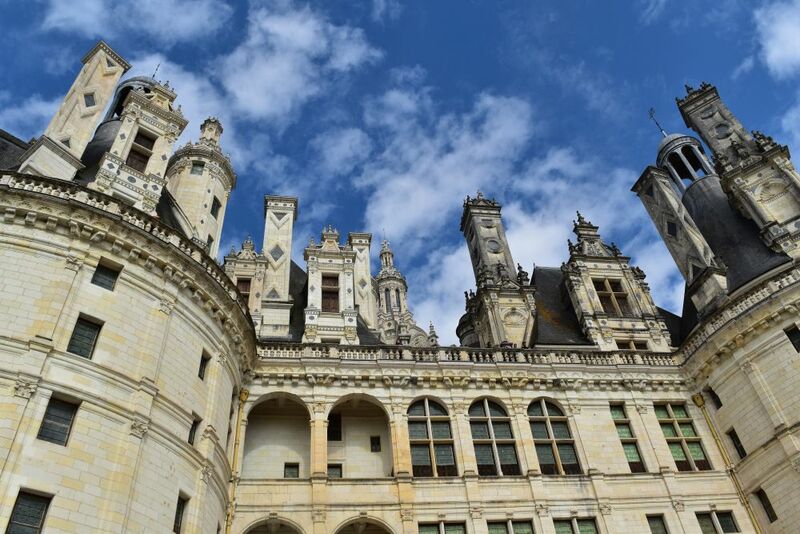 The Renaissance king François I built the castle of Chambord as a hunting lodge. 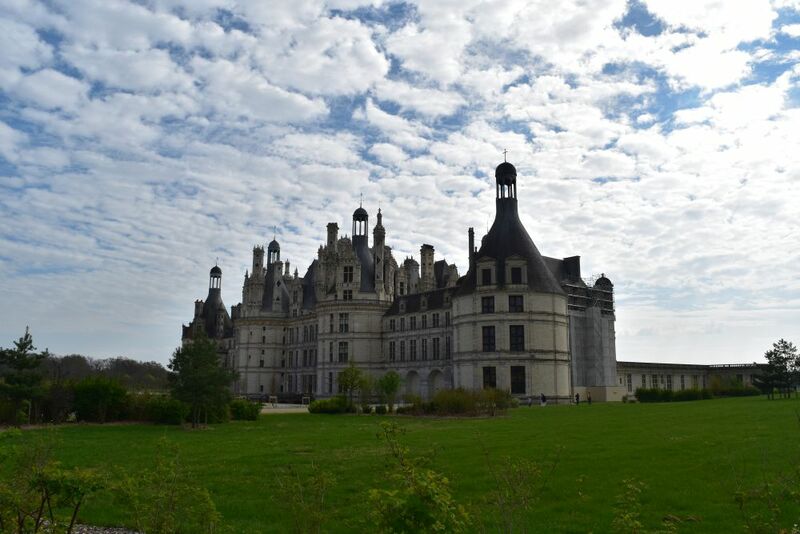 It is the largest castle in the Loire valley. A royal hunting lodge! The rooftop is full of small towers. From the balcony, the ladies could watch the hunting activities of the king and his entourage. 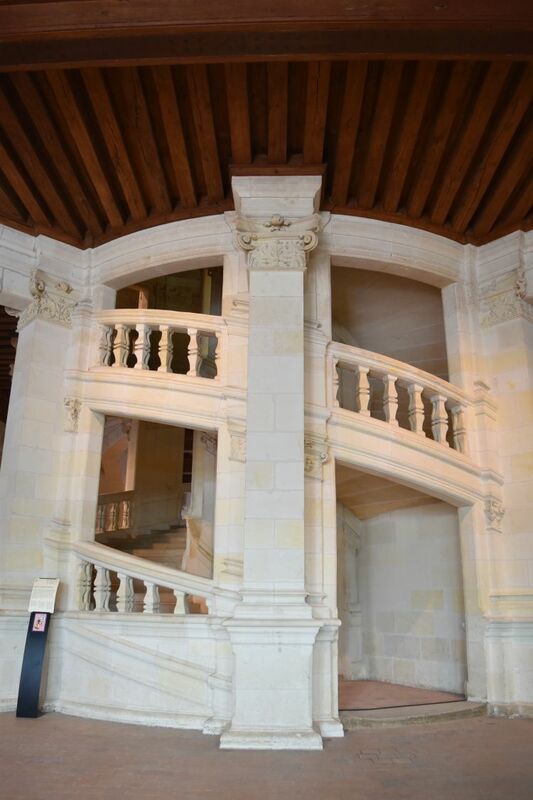 Leonardo da Vinci conceived this famous double spiral staircase that links the floors. Inside there is some furniture and tapestry. 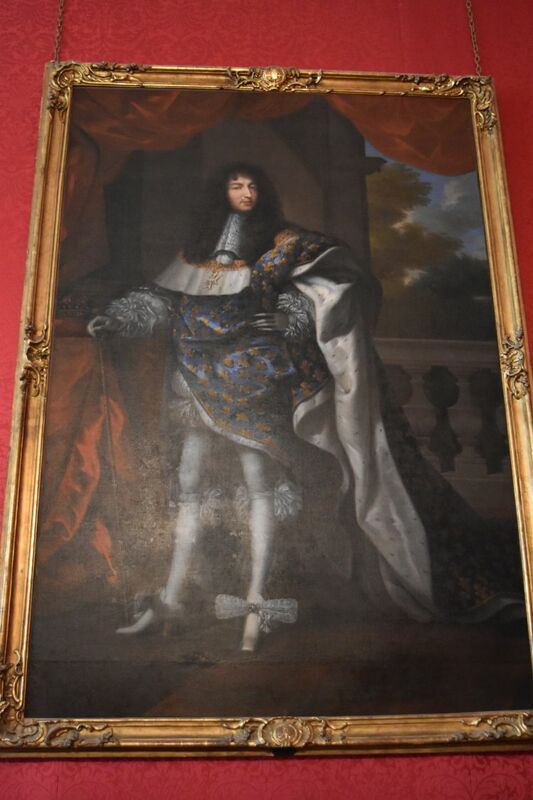 This is Henry IV, the first king of the Bourbon family. He is dressed in a practical way – he had to fight for his kingdom. 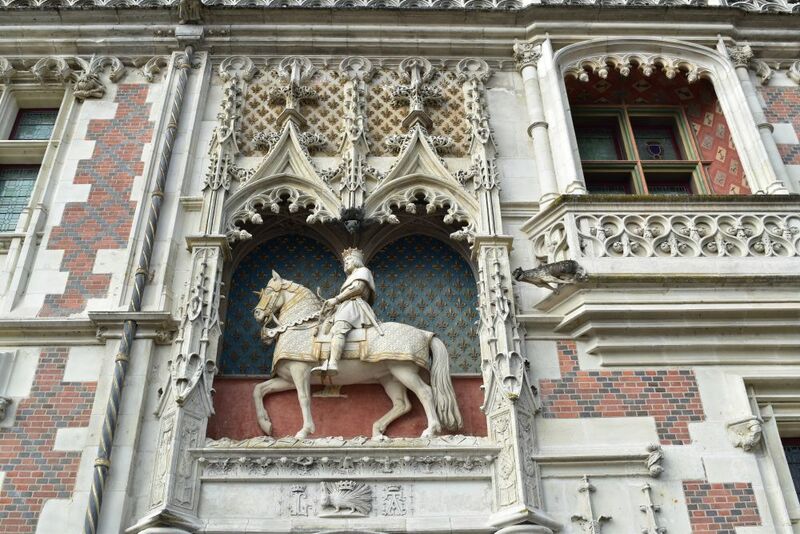 The statue of Louis XII welcomes the visitors of the royal Château de Blois. 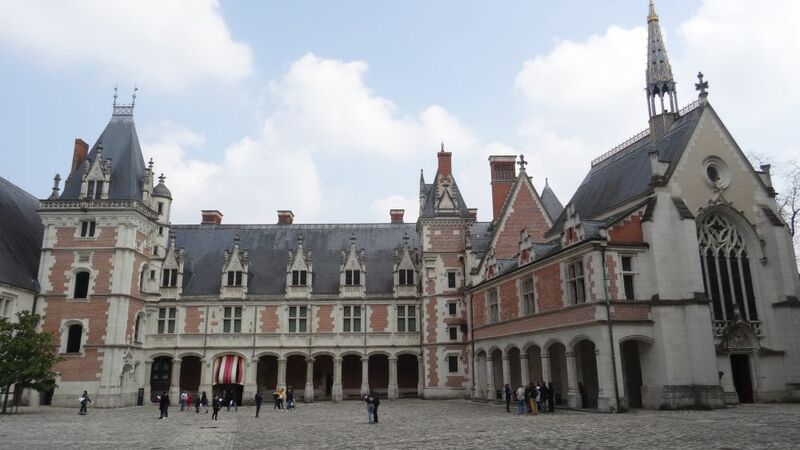 Around 1500 he made Blois his favourite residence. 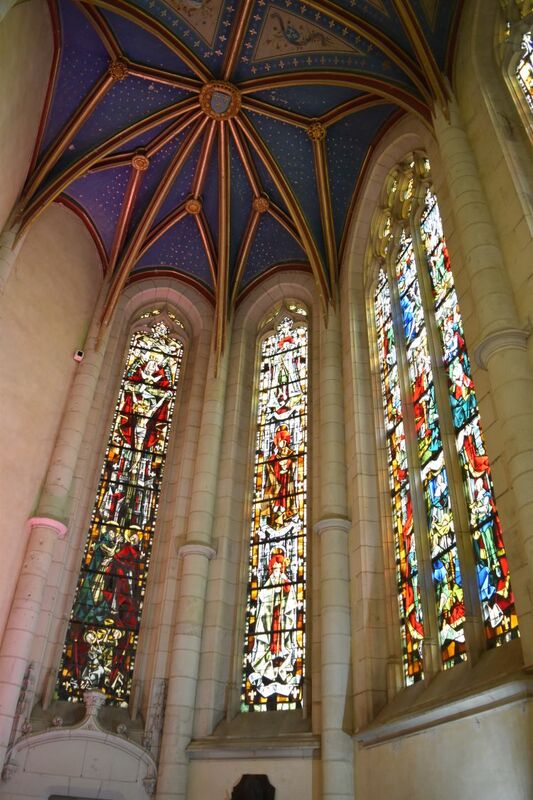 The brick construction of Louis XII with the attached chapel choir are mainly of gothic style. François I also stayed in Blois. He added the Renaissance wing with the master piece, the staircase. 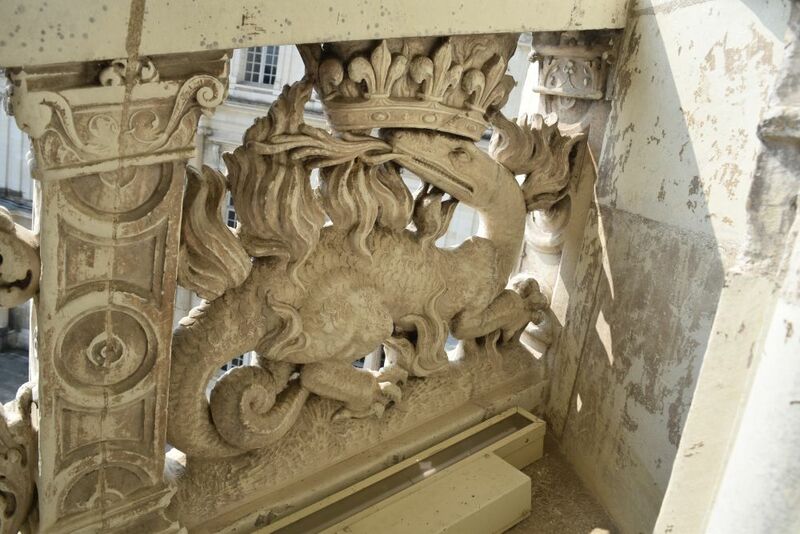 The sign of François I, the salamander, ornates the staircase (and many more places in the Blois castle). 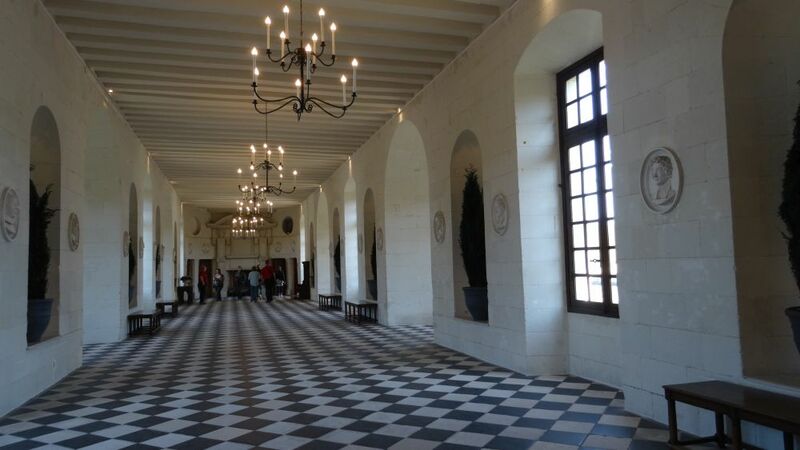 It was in the Renaissance wing where the French king Henri III murdered his cousin, Henri de Guise (1588). It is a windy and chilly day today. Some ten degrees outside. The castle is cold inside. I am shivering and I cannot imagine that it has been very comfortable to live here in winter time. 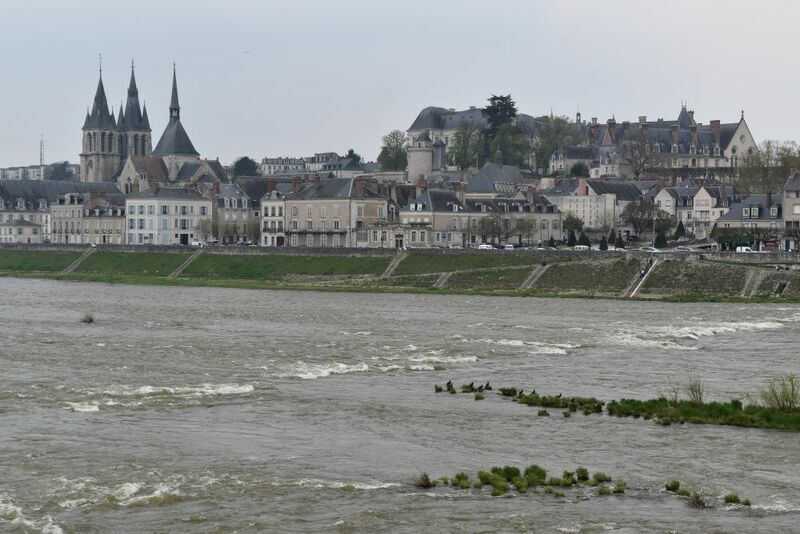 Let us look back to Blois with its castle and its church Saint-Nicolas and to the river Loire. Let us say good-bye to the Loire Valley. Our next target is l’Hospitalet de l’Infant in Spain (or more precisely in Catalonia) with a short stopover in Millau (south of France). (Sources: Michelin Guide de Tourisme: “Châteaux de la Loire”, 1985 and “Loire-Tal”, DK Dorlingkindersley 2015/2016).